The administration of Gov Larry Hogan, Republican of Maryland, on Thursday awarded six grants totaling more than $5 million to support the growth of public charter schools across the state. Three-year grants of up to $900,000 each went to programs in Baltimore City, Baltimore County, Prince George’s County, and St Mary’s County. 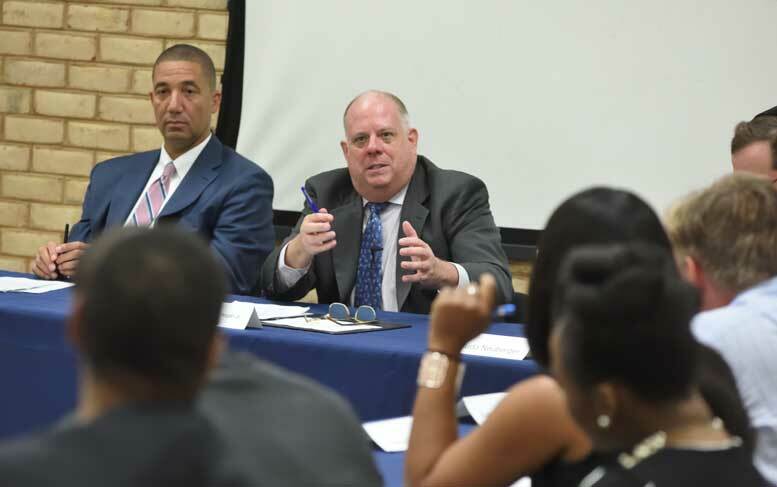 Mr Hogan made the announcement at Knowledge is Power Program (KIPP) Harmony Academy in Baltimore, where he was joined by members of the Maryland State Board of Education, students, parents, teachers, and business and community leaders. The grants are the first to be awarded under the Maryland State Department of Education’s federal Expanding Opportunity through Quality Charter Schools program. MSDE received a five-year, $17.2 million federal grant last year to expand the state’s public charter schools. Baltimore International Academy, Baltimore City: To replicate its existing K-8 program emphasizing language immersion in another Baltimore neighborhood. Chesapeake Charter School, St Mary’s County: To add 170 new students to its current K-8 program focusing on project based learning and arts integration. Chesapeake Math and IT Academy, Prince George’s County: To replicate its STEM-based school model, already successful at three locations in the county. DaVinci Collaborative School, Baltimore City: To start a new high school targeting internships and an intensive advisory model. Legends Charter School, Prince George’s County: To open a new K-4 school, with an intention of expanding to K-8, focusing on financial literacy and entrepreneurship. Watershed School, Baltimore County: To launch a new elementary school in 2019-2020 with an environmental focus and extensive community outreach. There will be a new opportunity to apply for grant funds in the next year. More info can be found on the MSDE website. Be the first to comment on "Md. awards grants to develop & expand charters"